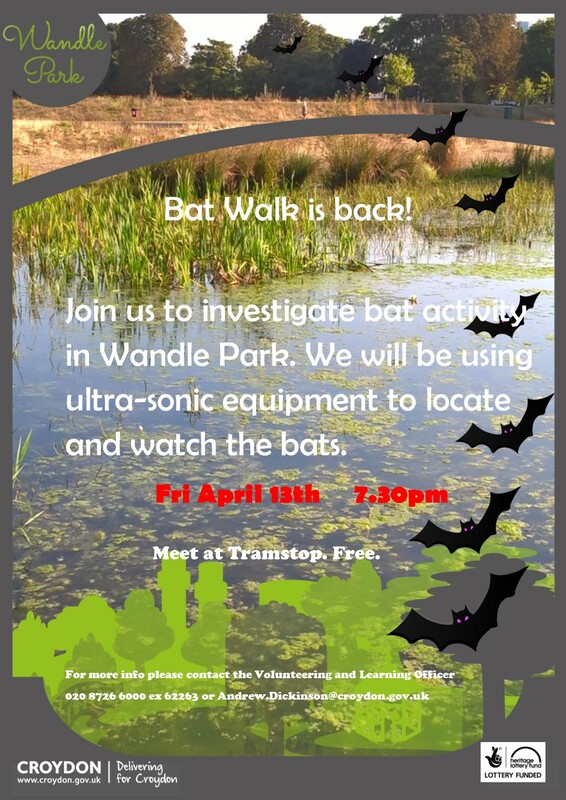 Our very own Wandle Park is taking part in an exciting fortnight of community events celebrating the Wandle Valley organised by the Living Wandle Landscape Partnership and the Wandle Valley Forum. A programme has been brought together to celebrate the Wandle and to promote all the exciting things going on in the Wandle Valley this autumn. The activities finish with a flourish on World Rivers Day, 25th September. For all the details go to the website where you will be able to see all the events and activities going on starting from 10th September. You will learn how to find them, when to look and how to identify any amphibians that you may find. 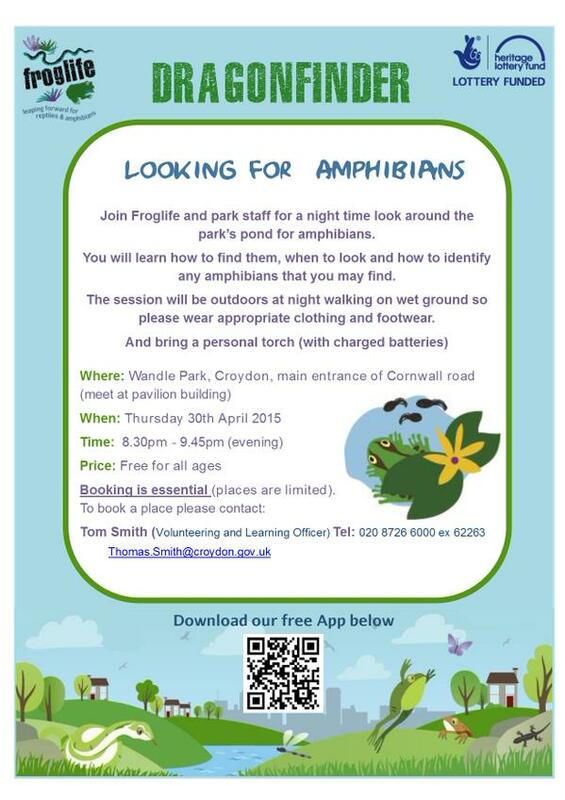 Note: The session will be outdoors at night walking on wet ground so please wear appropriate clothing and footwear and bring a personal torch (with charged batteries).